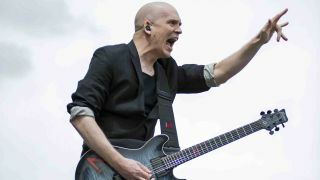 We've long been fans of metal maverick Devin Townsend, and we're pleased to see him being honoured for his contribution to all things heavy, as Metal Hammer knighted him Riff Lord at their annual Golden Gods awards. While Devin was in the area, the newly relaunched Team Rock Radio sat him down to hear the soundtrack of his life to boot. As you'd imagine, the list is rather eclectic, ranging from The Wildhearts and Styx to Weird Al Yankovic and, erm, Vengaboys.